One of our goals as a Fair Trade organization is to educate the public about the importance of Fair Trade. Our Education Coordinator is available to give presentations to community groups, do educational booths at community events, and provide in-store tours. For more information, you may view the Outreach and Education brochure. To schedule a presentation or request a booth at a community event, please contact the store at info@justcreations.org. We are delighted to introduce and welcome our new Fair Trade Ambassadors for 2018-2019. For the next several months, they will be immersed in the triumphs and challenges of Fair Trade. They will gather with us monthly to learn, volunteer in the store, and share what they are learning at their respective schools. Now in its twelfth year, this program has touched the minds and hearts of over 70 participants. 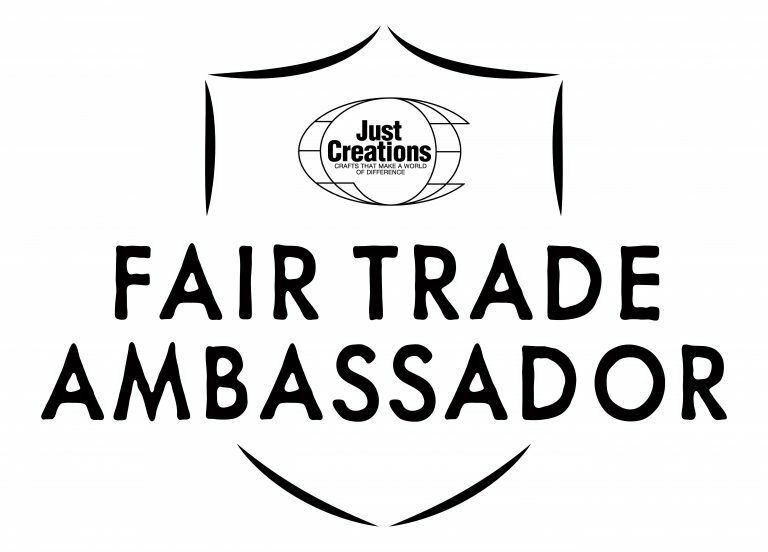 We hope that what our new Ambassadors learn and experience at Just Creations will spark a passion for social and economic justice and a life-long commitment to Fair Trade! Our Fair Trade Ambassador Program, started in 2007, provides experiential education in Fair Trade to selected high school students. Our hope is that they will develop an enduring commitment to Fair Trade and its principles, and in turn educate their peers. A group of juniors is selected each fall from area high schools. The students volunteer in the store, attend coursework sessions on Fair Trade topics, give a presentation at their school, and at the end of the program, go on a trip to visit other Fair Trade organizations in the region. According to one of our Ambassadors after she completed the program, “The experience has been the most valuable of my high school years for it has shaped the person I wish to become.” This program received the 2010 Best Public Education Program award from the Fair Trade Federation! 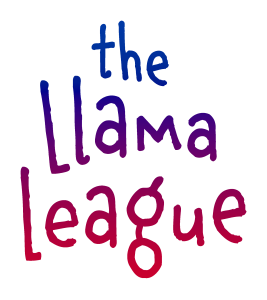 In 2017, Just Creations introduced the Llama League, the Club for Kids grades K-5. With Louie the Llama as its mascot, the Llama League offers opportunities for children and their families to engage in activities at Just Creations, learn about Fair Trade, and connect with cultures around the world. Highlights of the first year included a Birthday Club; tie-dying, blockprinting, and quilting at our Textiles of the World event; and the Llamarama, a special holiday shopping event just for kids. 2018 Events include: Llamarama – Sunday, November 18, 1:00 – 5:00 p.m. Don’t miss this special shopping event just for kids! To learn more or to sign up for the Llama League, email us at info@justcreations.org, call (502) 897-7319, or ask at the counter during your next visit. Just Creations relies on volunteers to assist with the daily operations of the store including unpacking, pricing and stocking merchandise, as well as providing quality customer service. We ask that volunteers work a minimum of 4-8 hours a month, and attend a New Volunteer Orientation before starting. The minimum age to volunteer is 16. 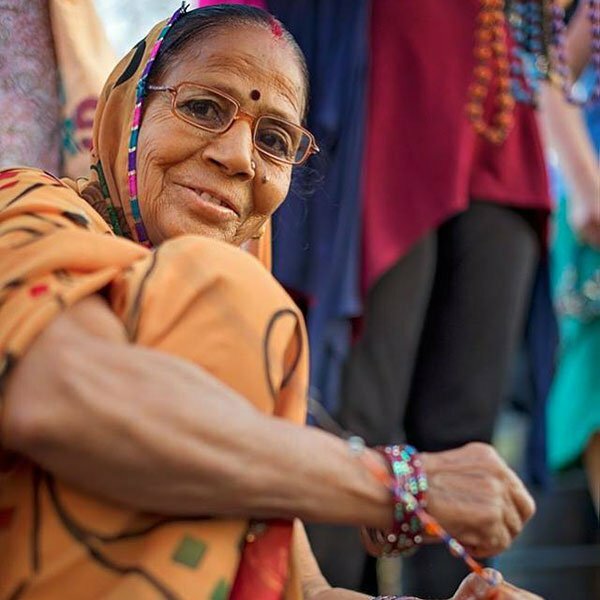 Volunteering at Just Creations provides an opportunity to make a difference around the world without leaving home! Learn more about volunteering at Just Creations by contacting 897-7319 or info@justcreations.org. New Volunteer Orientation sessions are generally held on the last Monday of the month. Contact the store to confirm the date. Click here for Volunteer Application.